Whether you just moved into your new home or you’re trying to sell your home, winter always presents itself with new challenges your home’s maintenance routine. As the temperatures drop, lots of things can be affected, so it’s important to be prepared and tuck away this list so you can be ready for anything that comes your way. One of the best things you can do for heat efficiency, is to make sure you aren’t losing your heat in any spaces. The best way to check on this is to walk around your home and check for any window or door leaks. If you feel a leak around your window you can use tools like caulk or spray foam for insulation. If there’s a gap or crack around your door you can buy weather-stripping to seal around door frames. Did you know that if you cover your windows with curtains or blinds that it will not only make your home look cozier, but it will help you save on your energy bill. That’s right! Curtains will serve as a barrier to keep your heat in your home as much as 10% more! So, if you were debating whether you should spend the extra money on curtains just think about how much you could be saving on your gas bill over the next few years. One thing that is extremely appealing to buyers right now is when you have home technology. 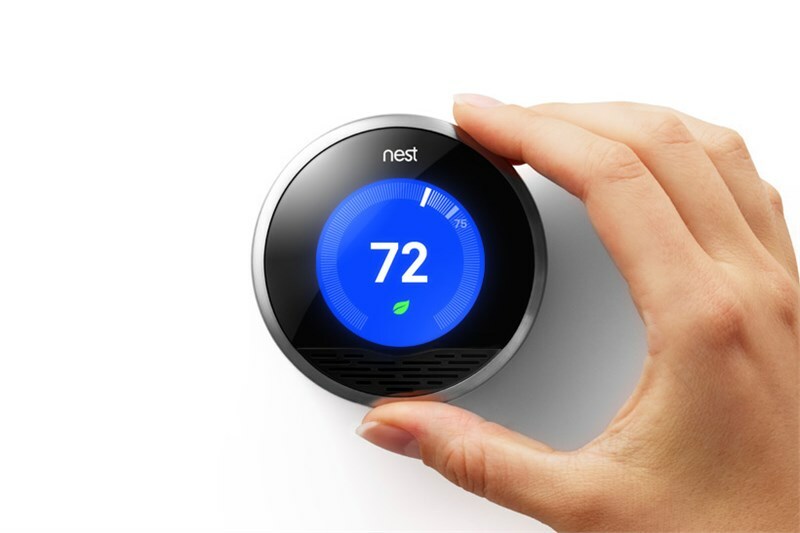 Products like Nest allow you to program your thermostat from home, so you can be more energy efficient during the winter months. When you’re at work you can program the temperature to lower and then heat up right before you go back home. Genius! And, as always – when you’re ready to make your move a reality – our team at George is on standby and ready to make your next move as stress-free as possible.